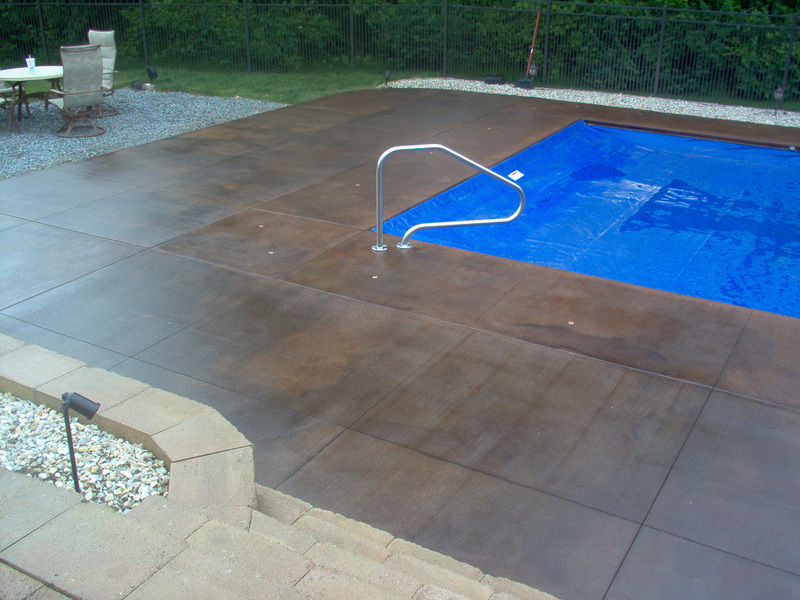 Acid stain can be applied to patios, walkways, basements, floors and vertical concrete applications. 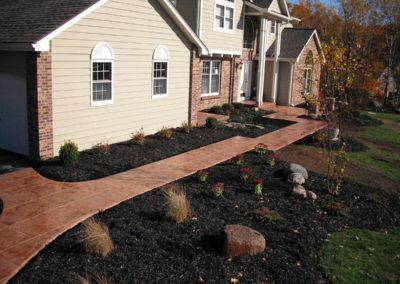 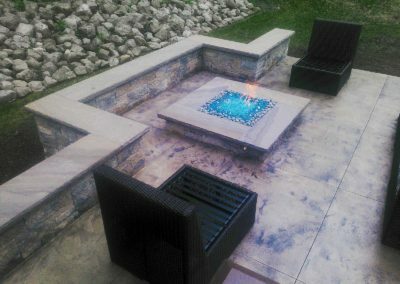 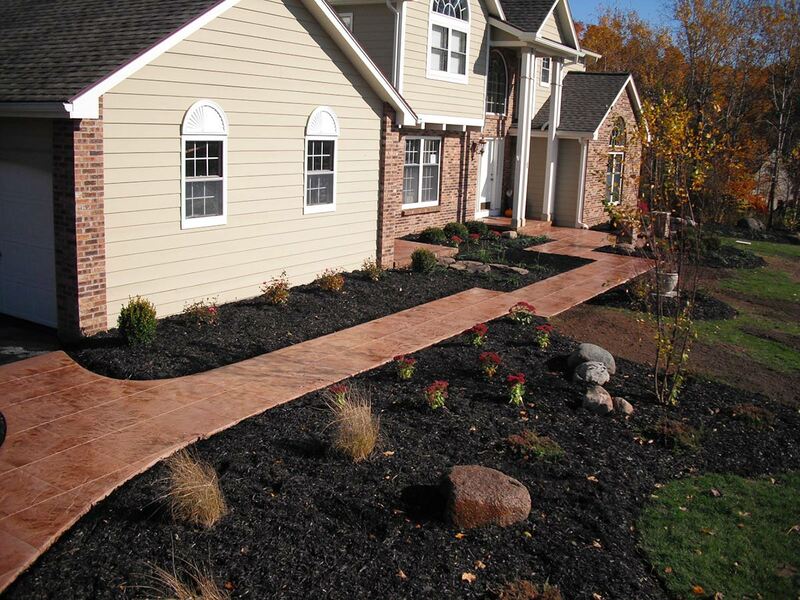 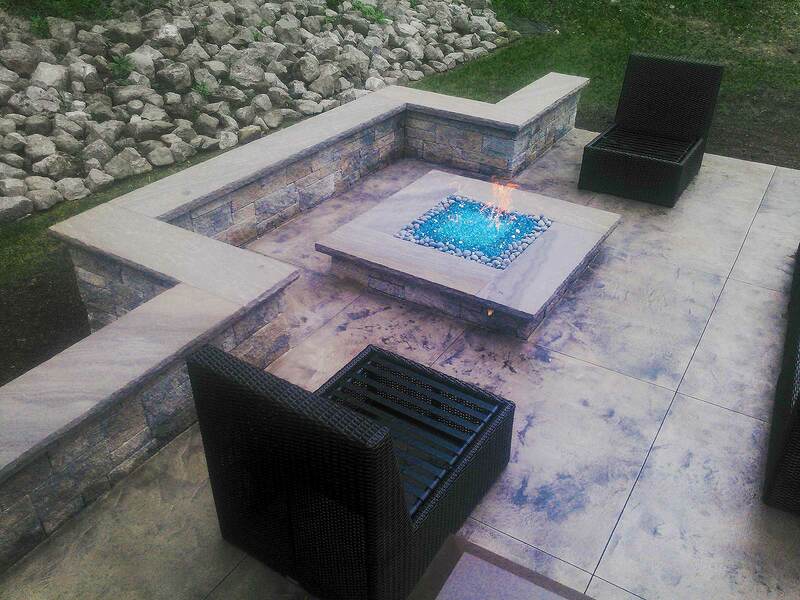 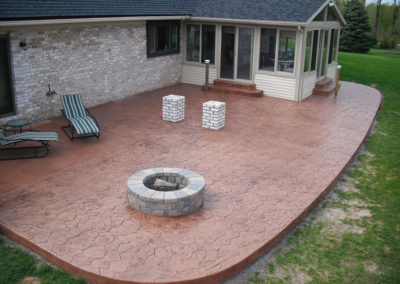 We’re the top Rochester acid stained concrete company in the Rochester, NY area. 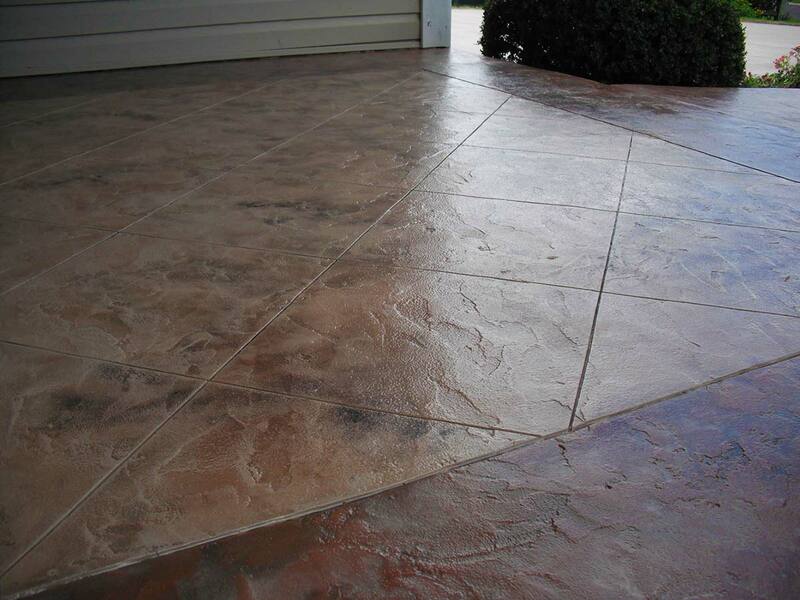 Acid Stain gives concrete a mottled, variegated, marble like look. 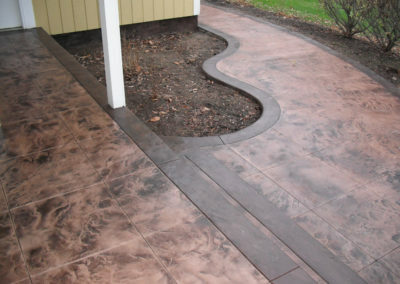 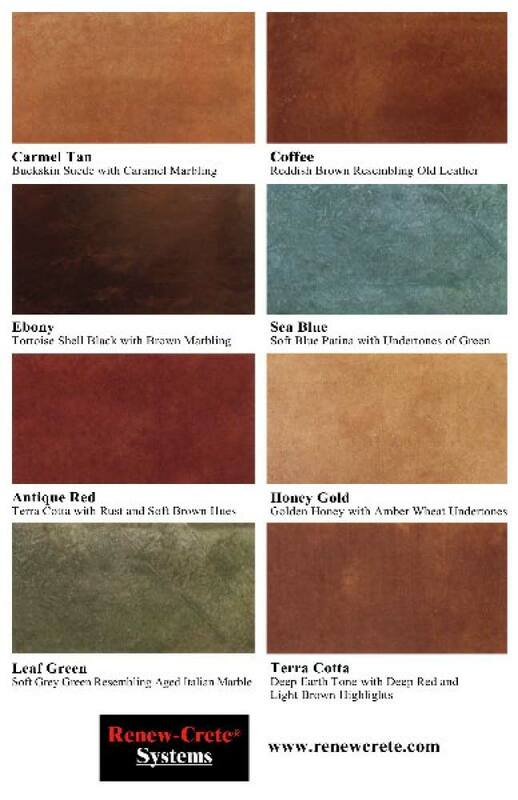 It creates beautiful colors on concrete, mostly earth tone browns, reddish browns and greens. You can customize the stain to an extent by mixing and matching available colors, or applying them at different ratios. 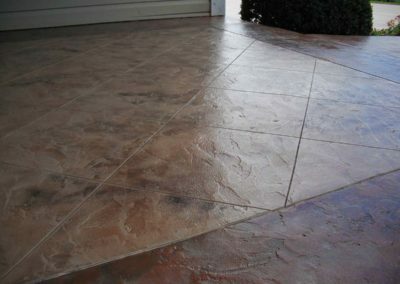 You should never expect a uniform or even color and you should keep in mind that this is a chemical process and the stain will react differently to slabs poured at different times. 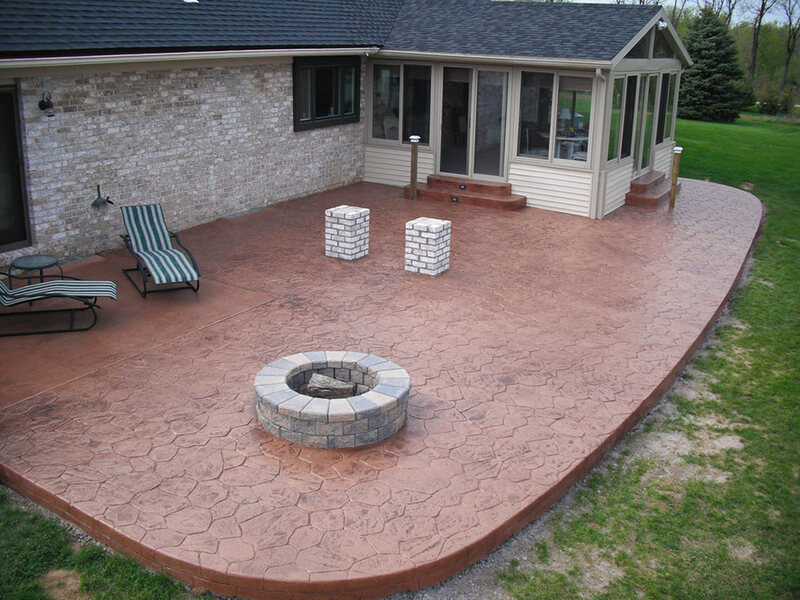 Acid stain can be applied to patios, walkways, basements, floors, vertical concrete applications, showroom floors, garages, etc.